Cervera Real Estate Ventures acquires new shopping center and Burger King out-parcel for $4 million on West Commerical Blvd. in Broward with big plans to buy more property and drive market value in the area. Javier Cervera, owner of Cervera Real Estate Ventures (Cervera REV) and a group of partners recently added another prominent retail shopping center to their real estate portfolio. 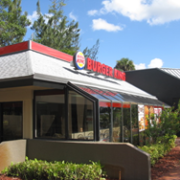 Cervera, a member of the well-known Miami real estate family, and his partners recently acquired Nichols Plaza that includes a freestanding Burger King. The commercial shopping center will be renamed West Com Plaza due to its convenient location in Broward County, directly on West Commercial Blvd near the Ft. Lauderdale Executive Airport and Interstate 95. Despite high demand for the strip center, in less than 60 days Cervera was able to make an offer, coordinate building inspections, handle necessary due diligence and close on the property. 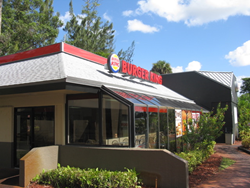 The shopping center was purchased for $4 million for 25,000 square feet, including the Burger King out-parcel. Prime real estate, West Com Plaza is surrounded by businesses, multifamily and single family residences. Offering a diligent hands-on operation at West Com, Cervera has immediate plans to give his new strip center the necessary upgrades to help raise the value of the building and upgrade tenancy. His operations team includes maintenance, management and a renovation crew. Cervera Real Estate Ventures, a private company based in Miami, FL is actively acquiring income producing properties such as retail shopping centers, apartment buildings and warehouses. With proven management strategies, Cervera is looking for assets that will add value as a part of their ongoing acquisition plan. The investment group is primarily looking for commercial property in Dade and Broward counties that will help grow his partnerships with the acquisition of more income producing properties made available through his vast network of real estate brokers and owners. He offers his partners opportunities they might not be able to find on their own by bringing real estate expertise and unparalleled value in increased returns with efficient operations.